Qualified and experienced pet sitters providing an excellent home pet sitting service. Giving your pets the love and care they need while you are away. Sitter4Pets offers you total peace of mind that your pets will be looked after with the upmost care and attention. Sitter4Pets has many years of experience in looking after a wide range of varied pets. We all know each pet is different and they have their own quirks, routines and behaviours. This is why Sitter4Pets is so highly recommended as each and every pet receives their own unique and personalised pet care routine. We are based in Doncaster although we can travel and are happy to cover bookings in Barnsley, Rotherham, Wakefield, Sheffield and surrounding areas. 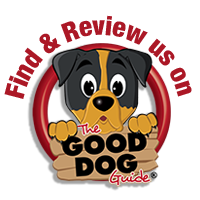 We provide regular updates about your beloved pets with our own app! Sitter4Pets is the first pet sitting business in the UK to have its own app! This allows all Sitter4Pets clients to receive regular updates and have 24 hour access to what is happening at home. All our clients love what we do! Here are a few of the lovely reviews given to us by our clients. More of which can be available upon request.